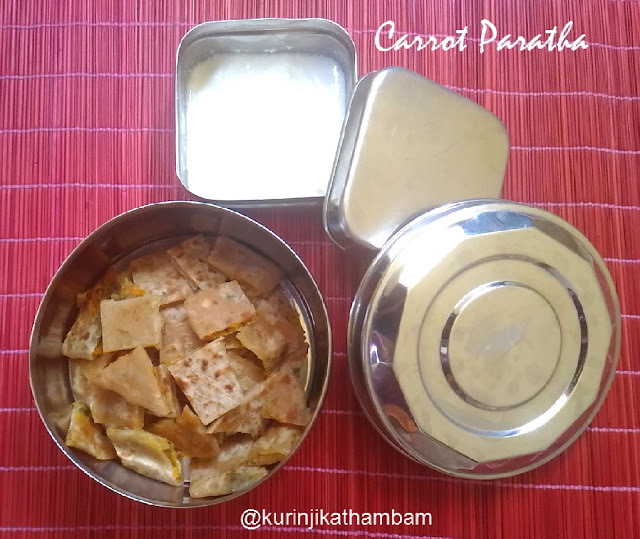 Carrot paratha is a easy kids lunch box recipe. As it has only few readily available ingredients. Carrot adds a sweetish tinge to the chapathi which the kids will love. It is healthy is a bonus. 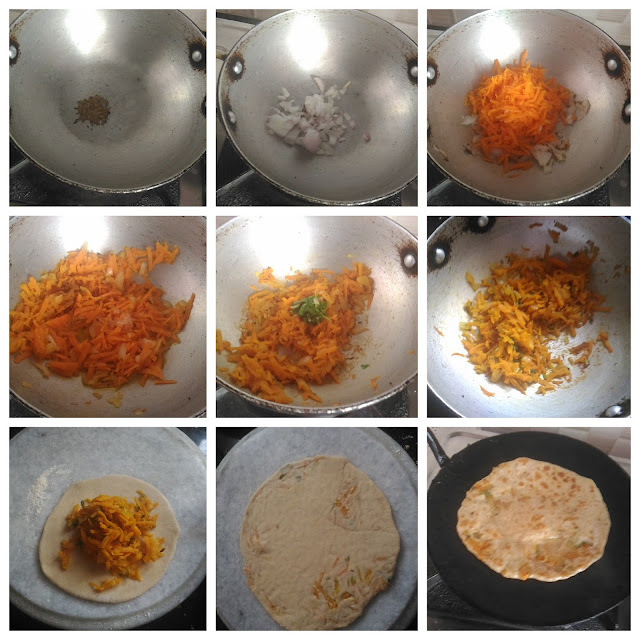 Preparation Time: 5 mins | Cooking Time: 15 mins | Yields: 5 nos. 1. In a bowl, add wheat flour, salt and oil. Mix them well. 2. Then add water little by little and knead it into a soft dough. Keep it aside for 10 mins. 3. Heat the oil in a pan, add cumin seeds and wait for splutter. 4. Then add the chopped onion and sauté till they become translucent. 5. Now add the grated carrot, red chilli powder and salt. Sauté till the raw smell of the carrot goes off and it becomes tender. 6. Add finely chopped coriander leaves (if used). Mix them well. Allow it to cool down completely. 7. Now divide the dough (from 2) into a lemon size balls. 8. Now dust the dough ball and roll it into a small circle. Keep 2 tbsp or required amount of stuffing in its center. Then bring the edges to the center. 9. Again dust the stuffed balls and roll it carefully. 10. Heat the tawa and transfer the paratha, sprinkle the oil and cook both sides till the black spots starts. 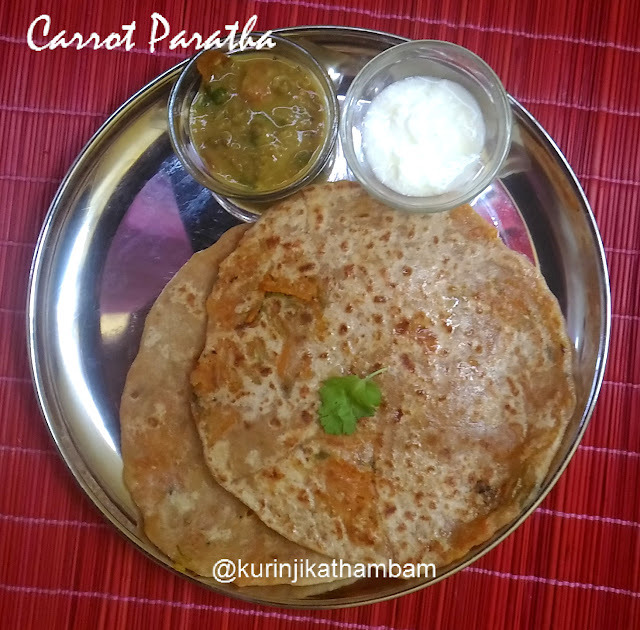 Really easy and tasty paratha ready to serve. Serve it with raitha.